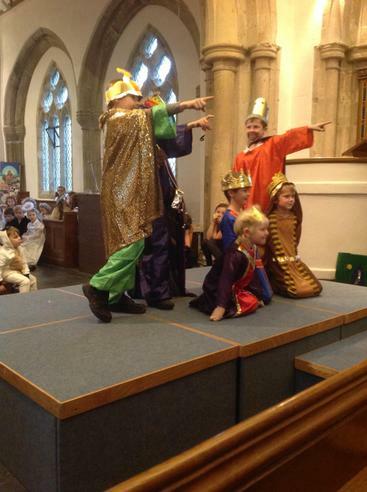 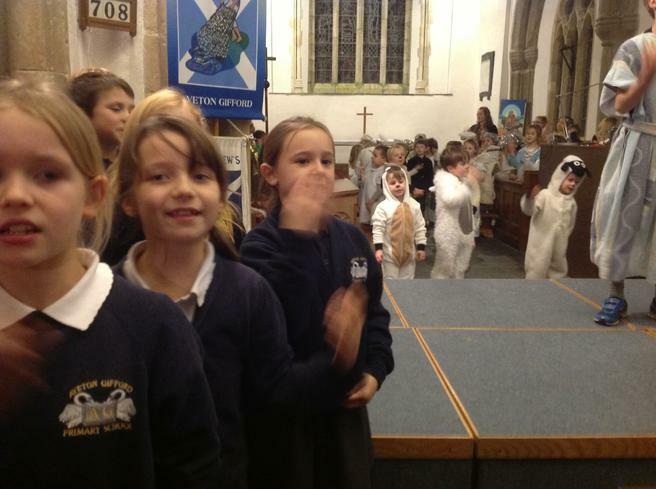 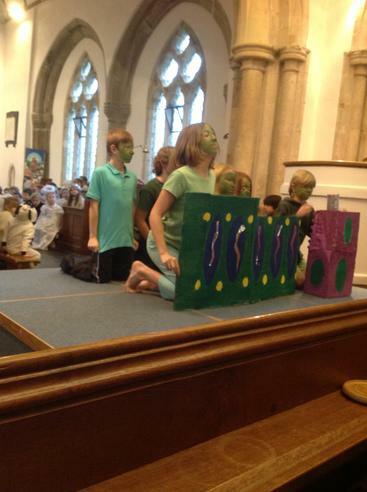 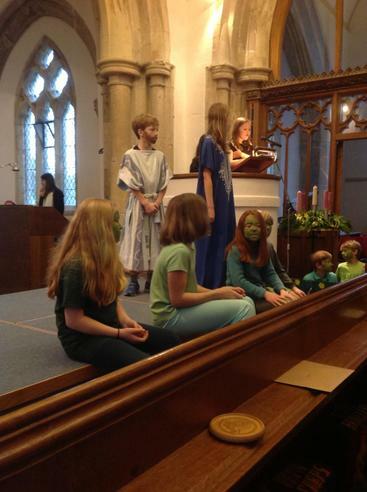 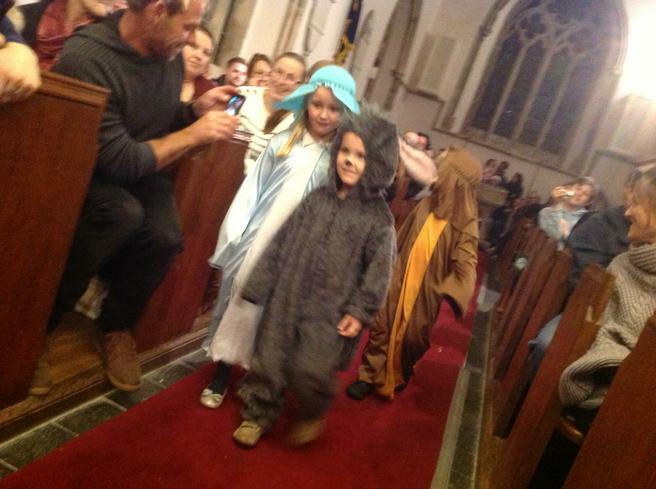 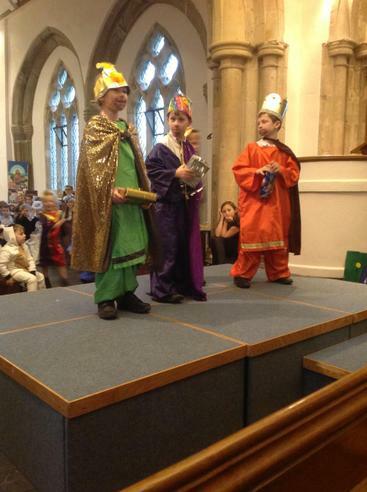 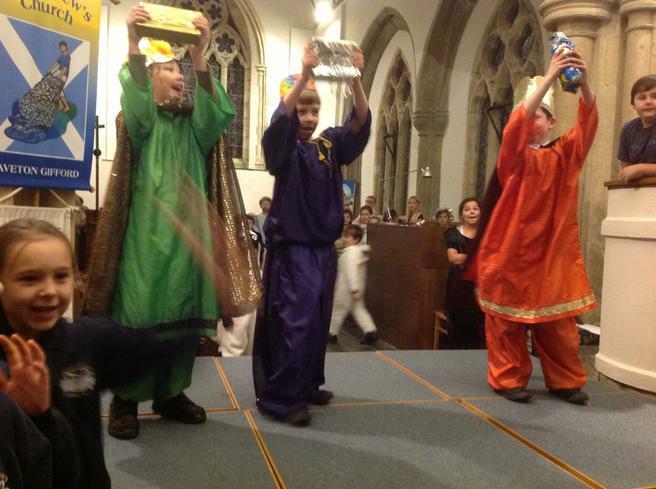 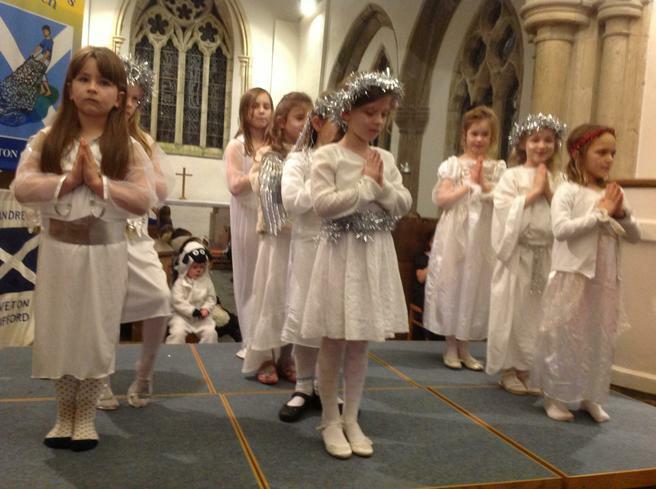 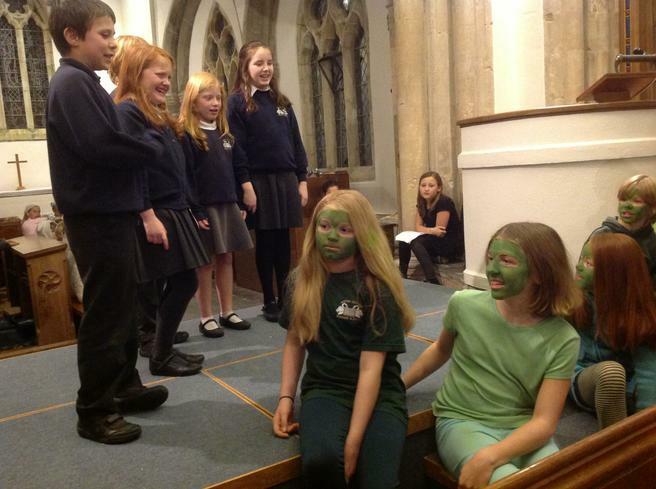 Green aliens from outer-space joined our children in St Andrew's Church yesterday to celebrate Christmas! 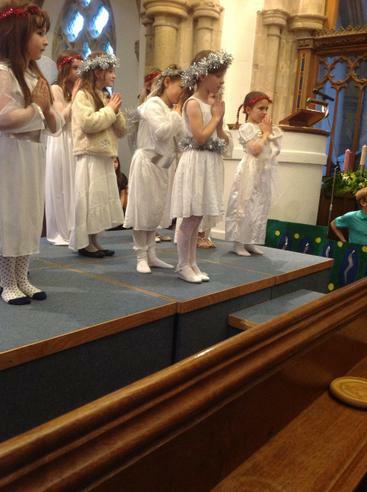 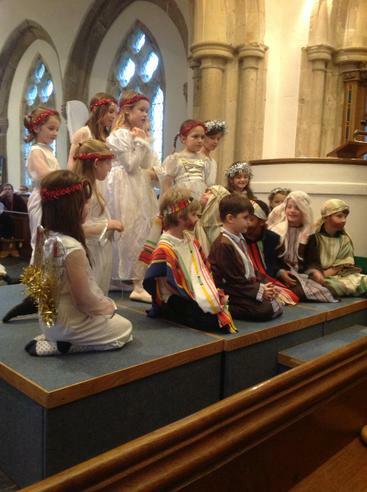 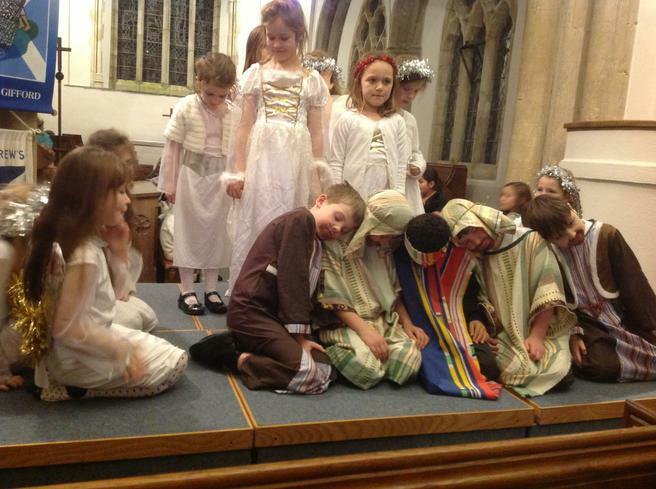 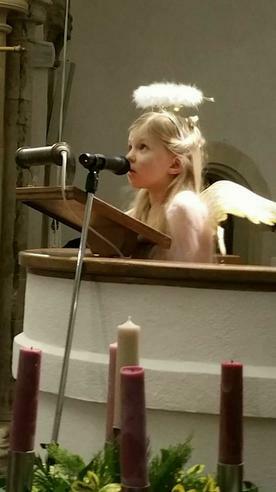 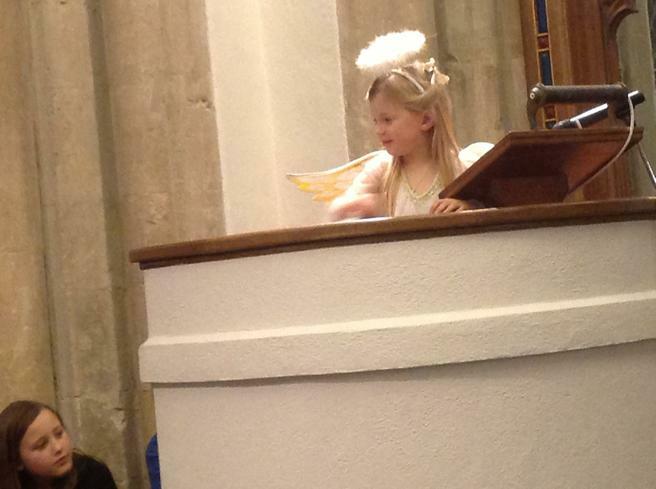 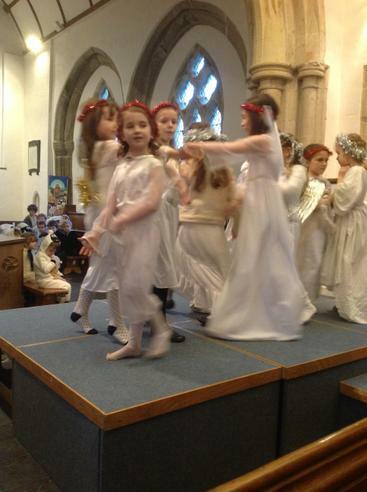 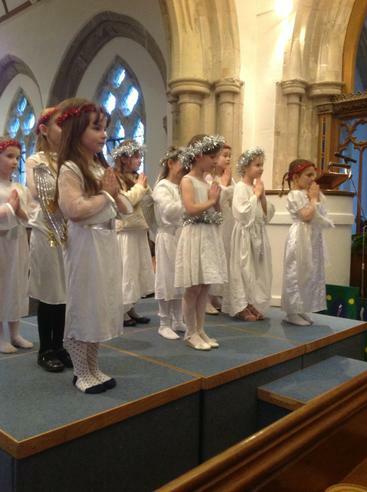 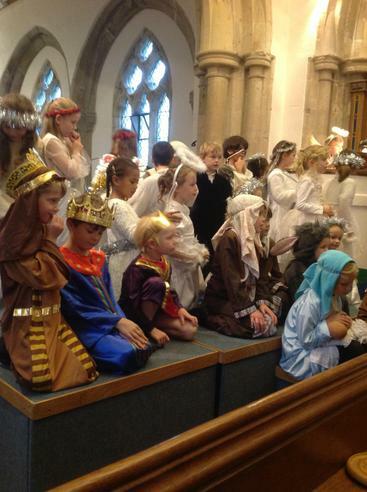 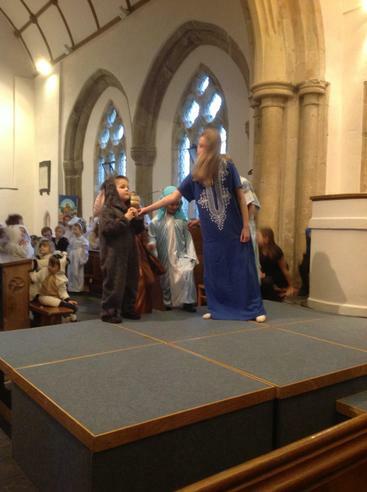 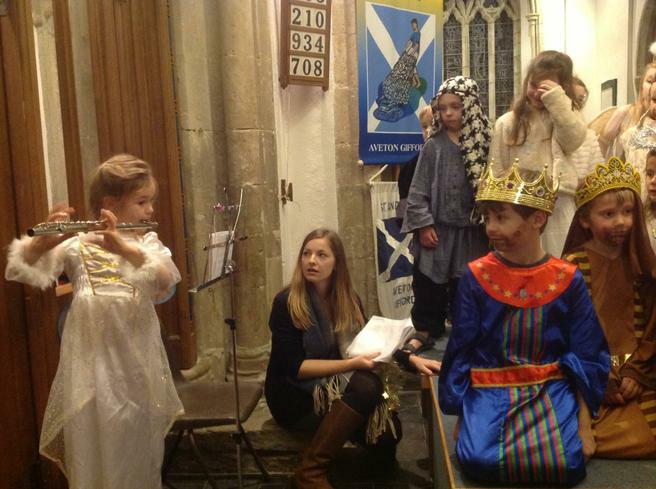 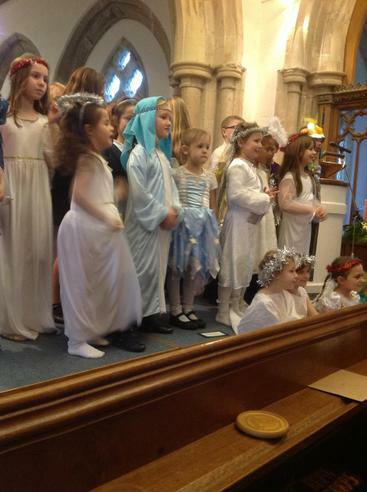 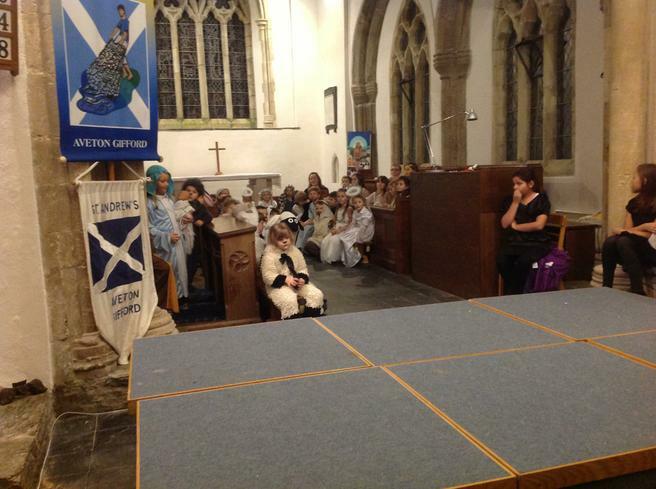 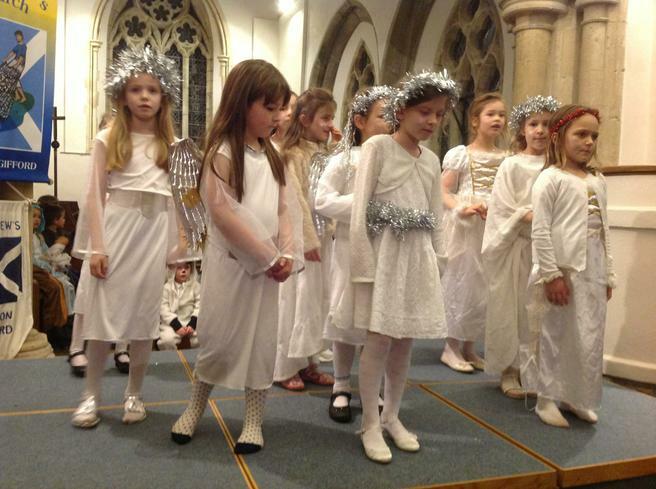 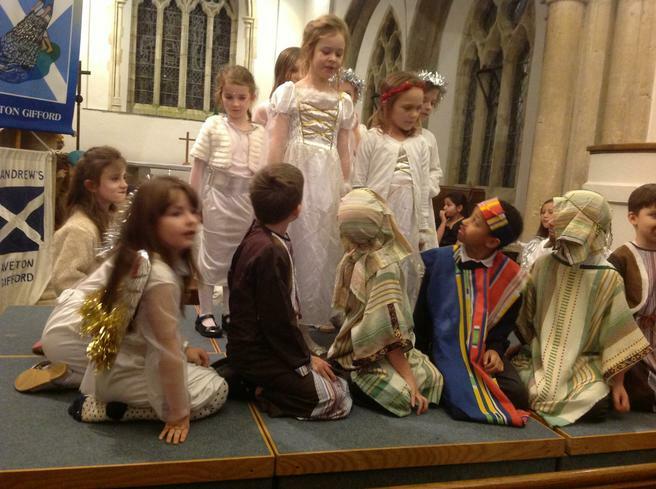 A host of Angels, from Years F to 6, six Wise Men, two Marys and two Josephs, a flock of Shepherds as well as two inn-keepers and the whole school choir filled the Church with laughter and song as they performed 'Christmas with the Aliens' to their parents, carers and friends. 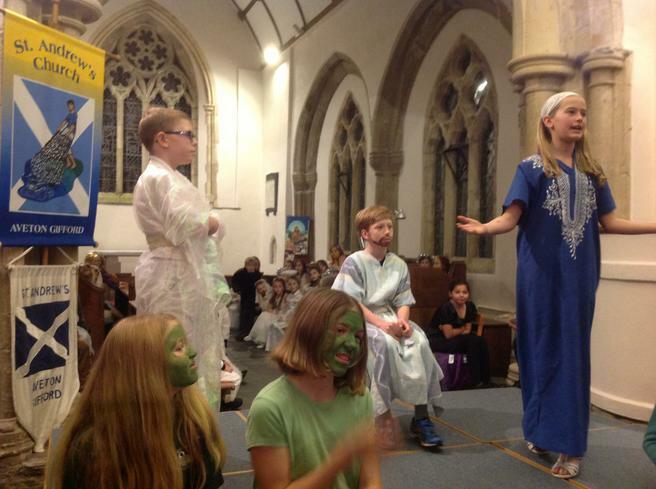 We are very grateful to all of the help we have received with the wonderful array of costumes and a particular thank you must go to Mrs Tisdom for coming into school to paint the aliens' faces green! 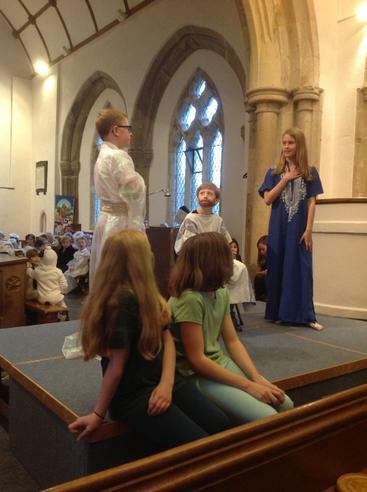 A special mention must go to Miss PItman and Miss Naylor for all of their hard work in adapting the script, adding extra songs and encouraging the children during rehearsals ....... and on the day! 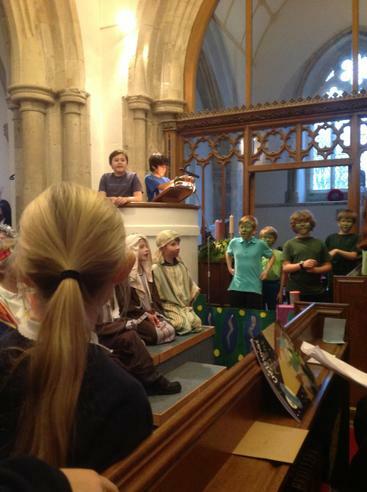 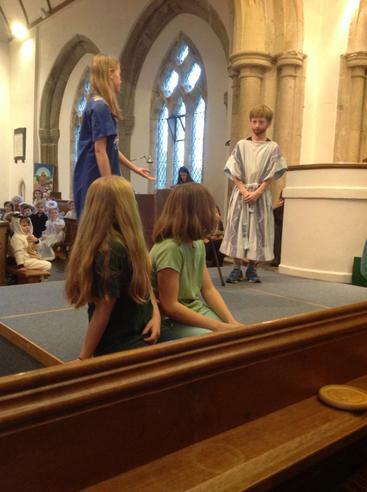 The children and staff are looking forward to their second performance this evening at 5.30pm.